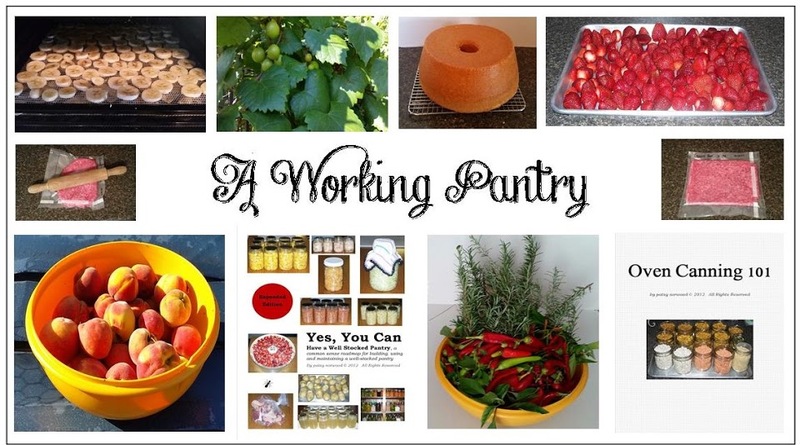 A Working Pantry: First Nettles Harvest of 2019! First Nettles Harvest of 2019! I've been keeping an eye on the nettles growing in my yard (I planted them in strategic places and plan to plant more.) 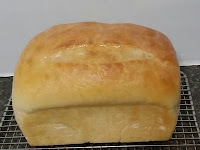 and this morning decided it was time to collect the first harvest of 2019. See how healthy looking they are! I brought them in, washed them up (don't forget to wear water proof gloves, remember nettles sting) and then spun all the water out of them in my salad spinner. Next, I laid them out on a towel to wilt and since it's cool here now, their next move will be into the dehydrator. 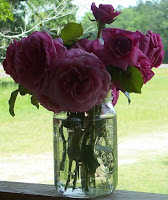 After they're dehydrated, I'll crumble them up and jar them until I'm ready to use them. 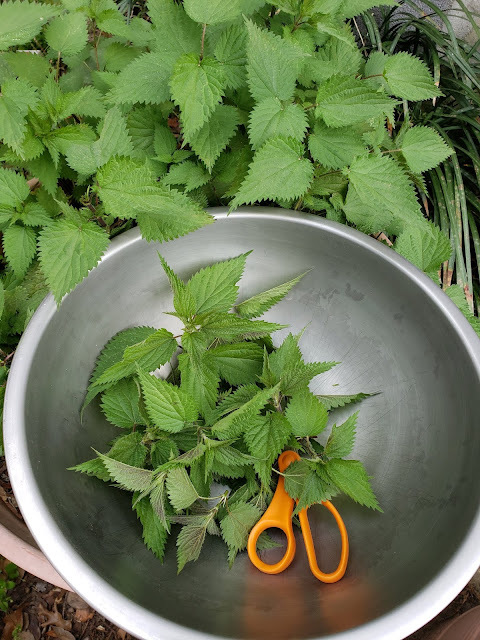 What will I do with these nettles? I'll use them in home remedies and also add them to broth the next time I make some. Don't have anywhere to harvest nettles … you can order them HERE. You can follow me on Instagram, Facebook and Pinterest and on my little cottage industry group page: Pillowcases by Patsi! Funny how it's so different around world. My nettles have about foot of snow over them. So no harvesting yet! And no need to plant them, they'll grow all by themselves all around - most likely where I don't want them to grow... I make nettle soup and nettle pancakes, kids look forward to pancakes because that's when it's officially beginning of summer. 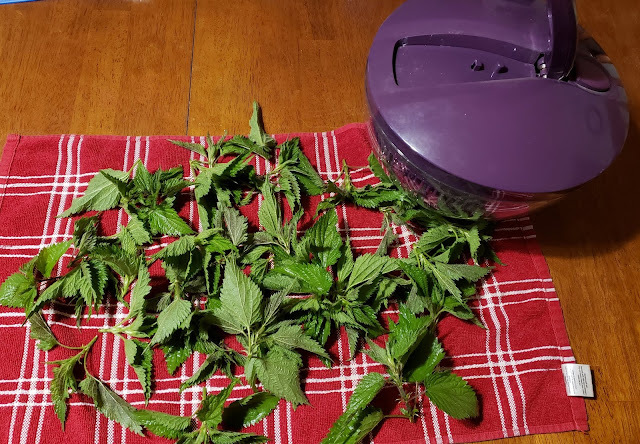 Sometimes I freeze nettles, but I haven't dehydrated them. This summer I will, I think nettle tea will do good for me. Ulvmor, I had to plant them here to have any so I'm going to keep spreading them in obscure places until they are well established! I need to look at some of the ways you use them, thanks for the suggestions! I habe nettles... I need to learn more. I think they also make good garden fertiliser like liquid fertiliser the way comfrey does. I need to research what remedies they are suitable for... but I want to use this recourse! Annabel, I do seem to remember something about nettles and garden fertilizer, I need to do some more research on it and this time add it to my notes! I too am looking for more natural ways to feed my garden.